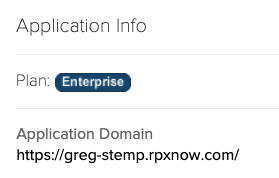 This call adds an administrator user to a Relying Party. Note. Multiple user entities can be associated to the same email address. When you set verify to false, attempting to add an admin user with such an ambiguous email returns an error. This endpoint supports Basic authentication. apiKey string Yes Social Login API key. This key can be found on the Janrain Dashboard. email string Yes Email address of the administrator being added. partnerKey string Yes Social Login partner key. This key can be found on the Janrain Dashboard. verify string When set to true (the default value) a verification email is sent to the prospective administrator; the user must click the link in this email before he or she can access the website. If set to false, then user cannot be added as an administrator unless he or she is already an administrator with one or more of the partner relying parties. In Postman, click Import to display the Import dialog box. 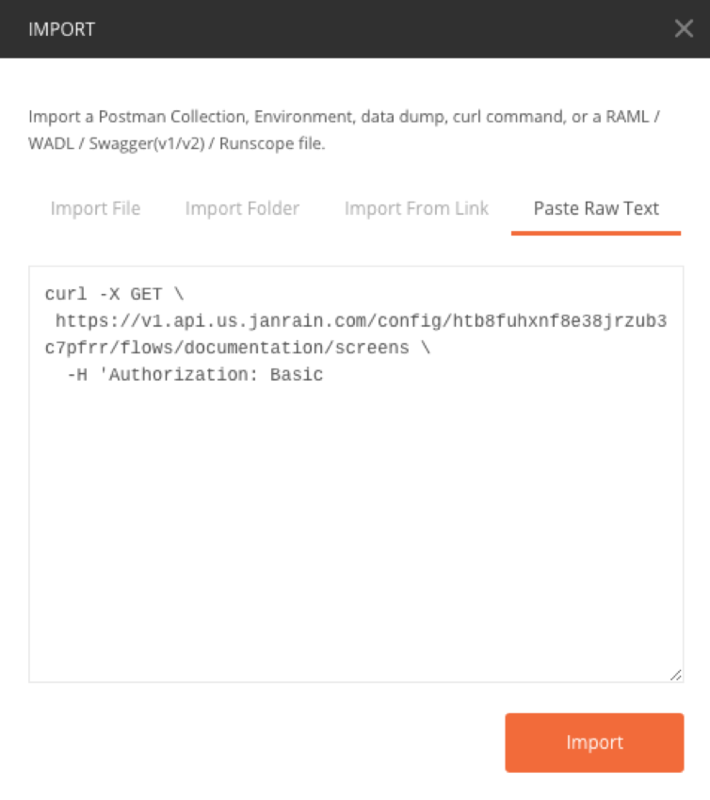 Click Import, and the Curl command will be converted to a format that can be run from within Postman. All you need to do now is configure the command to work with your Janrain implementation. The resulting value (e.g., YWJjZGVmZzpoaWprbG1ub3A=) should be used in your authentication header. If you are making API calls using Postman, select Basic Auth as your identification type, then use the client ID as the username and the client secret as the password. Before you actually try your authentication string, make sure that your API client has the all the permissions (for example, the right to read user profile information) needed to complete the API call.